The 2019 edition of the EART is scheduled to take place alongside the Frisian Flag exercise held at Leeuwarden from Aprril 1-12. Participants are unknown at this moment. Four or five refuellers will normally participate based on the previous exercises. Five were scheduled in 2018 but Italy cancelled prior to the exercise while both France and the US withdrew their tanker for operational reasons leaving only the German and Netherlands air forces. The new A330MRTT “Phenix” will not participate at EART. One aircraft is currently delivered to the French Air Force. 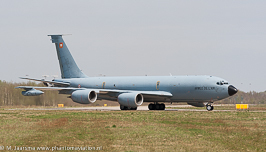 French Air Force C-135FR (EART 2015). 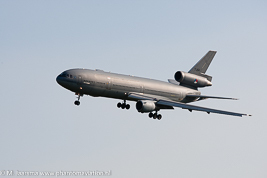 Royal Netherlands Air Force KDC-10.